After promising the ladies of the Volunteer Fire Department that the town council will pay for their already purchased new uniforms, the girls find that they will be stuck with the cost themselves. They are livid when at Lucy who failed to get the town council to pay for their new uniforms as she'd guaranteed. They want to relieve Lucy as Captain, until she comes up with the idea of selling newspapers for salvage to raise the funds. 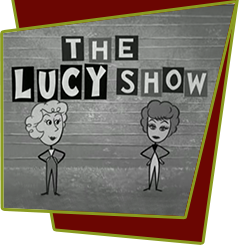 Everything goes wrong, and Lucy and Viv end up with a rented dump truck to haul 34 tons of paper to another town, getting numerous traffic citations along the way. Special Notes: Prop man Ken Westcott rented the 160,000 newspapers (34 tons) for $200, then paid nearly $1800 more have to have them fireproofed and stacked in a way so they would not fall on the actors.